Dianna De La Garza said in an interview with the SiriuxXM show "Conversations with Maria Menounos" that Lovato is 90 days sober. "She has 90 days and I couldn't be more thankful or more proud of her because addiction being a disease, it's work," she said. "It's very hard, it's not easy and there are no shortcuts." De La Garza said she's not sure what led to Lovato's reported overdose. She initially thought Lovato had been in a car accident when she started hearing about her daughter's relapse. "I was looking at my phone and I saw all these text messages coming in from all over," De La Garza recalled. "The one text message that clued me in on what was going on said, 'I just saw on TMZ and I'm so sorry.'" "I knew that she wasn't sober but I didn't know what she was doing because she doesn't live with me," she said of Lovato. "I started getting all these text messages and my knees almost went weak. I could barely stand up." 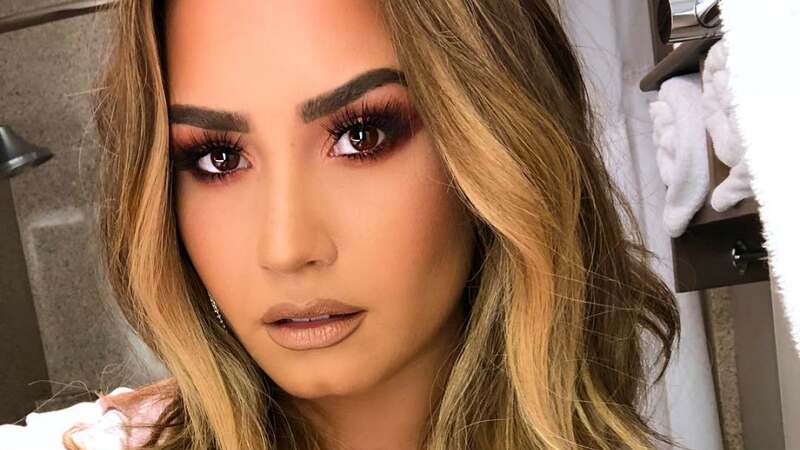 Lovato was hospitalized in July after a reported opioid overdose. Her sister Madison De La Garza said in an interview with the Millennial Hollywood podcast this month that the singer is "doing really well" in treatment. "She's working really hard on her sobriety, and we're all so incredibly proud of her," the 16-year-old actress said. "It's been crazy for our family. It's been a lot." Katharine McPhee postpones 'Fall in Love' tour due to "extreme vocal fatigue"